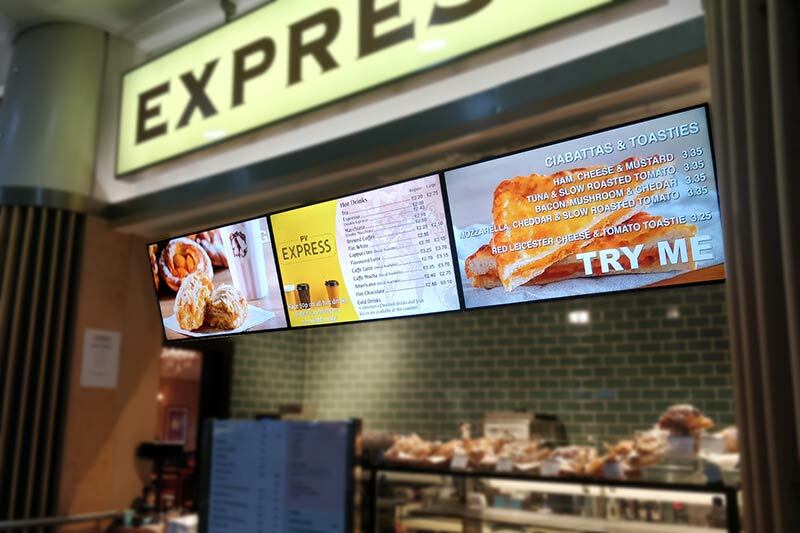 Our fully installed Digital Menu Boards are eye-catching, easy to update & proven to provide a sales uplift and so a quick ROI. 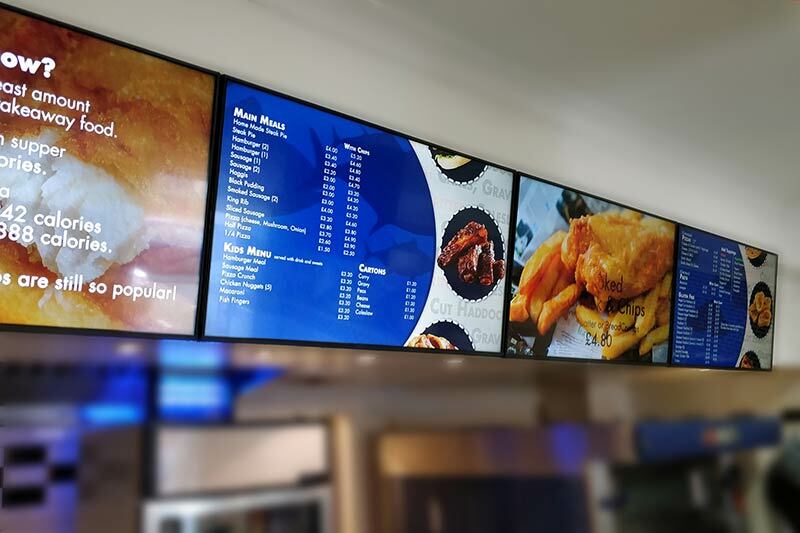 Whether you are a restaurant with a static restaurant menu display or a takeaway with traditional fast food menu boards you can easily move to vibrant, eye catching and dynamically changing digital menu boards. A typical installation gets a ROI in less than18 months! 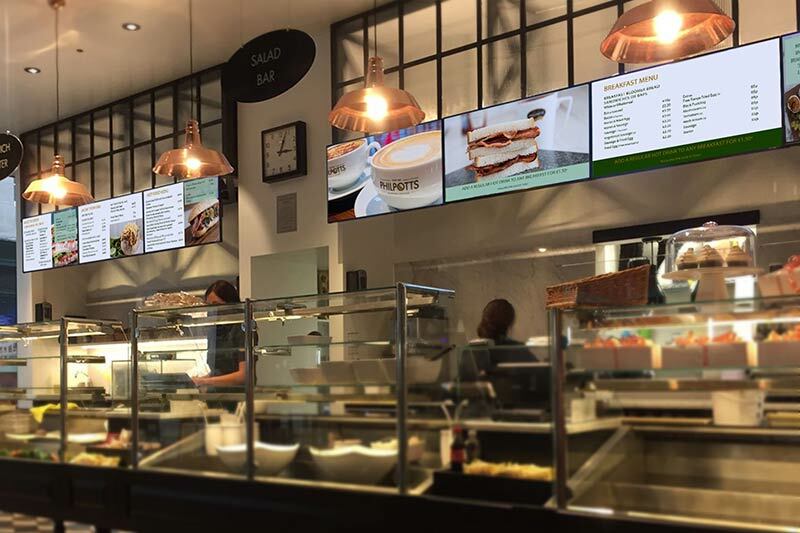 squareVIEW DSA menu boards are updated using our secure cloud portal allowing you to centrally manage & deploy Digital Menu Board content from any location on the globe. 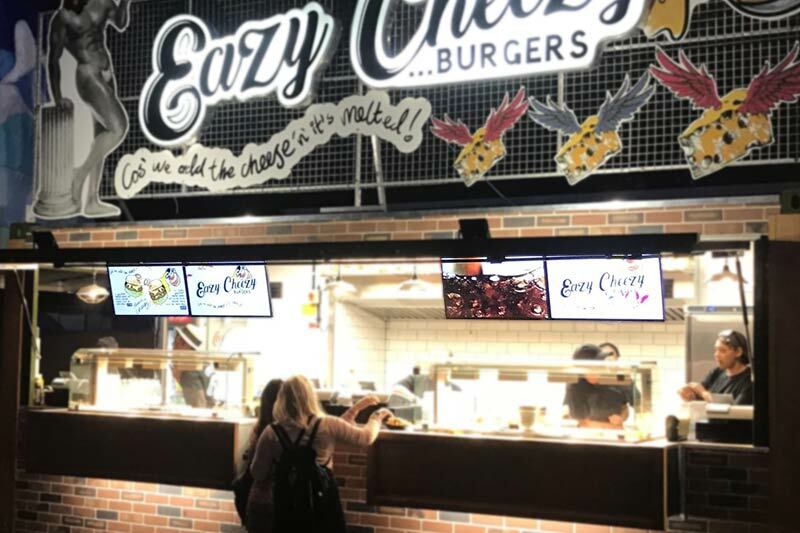 Our installations have resulted in customers seeing huge cost savings from traditional printed menus not to mention the time saved printing and reapplying any changes. Using our squareVIEW Digital Menus gives you the ability to show animated product promotions. These can be scheduled (day parting) to change automatically depending on time of day and from experience have shown a sales increase of between 40-65%. Did you know that animated content is 65% more eye catching than static printed menus and can help transform the customers waiting time into an opportunity to up sell and influence purchase decisions at the critical moment. Call the team now and discuss your new Digital Menu Boards.